The increased need of customers who look for affordable way to capture 360 degree photos led to the release of Ricoh's new Theta SC. Unbeleivable performance of the camera with full features is surprising. 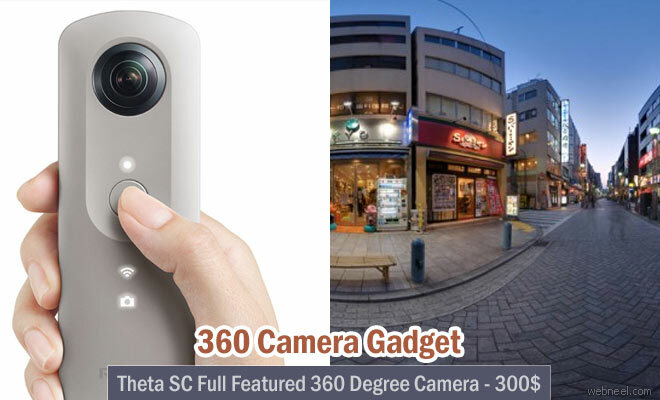 It is user friendly in such a way even the first time 360-degree camera users can perform well. Ricoh offers the industry’s most extensive line of spherical imaging cameras, known for their high image quality, sleek design and ease of use. Advanced imaging capabilities with simplified operation, makes Ricoh Thetah SC to appeal to the growing numbers of consumers interested in capturing and sharing 360 degree photos and videos. The Theta SC continues to offer smartphone control with live view and sharing on theta360.com/ and popular social media sites, and the company is updating its app to be more user-friendly. The spherical images captured by the user can be uploaded to theta360.com dedicated website, then share them on social media networks such as Facebook, Twitter, Instagram and Tumblr and Google Maps. It is also possible to submit captured videos to 360-degree channels such as Google+ and YouTube.